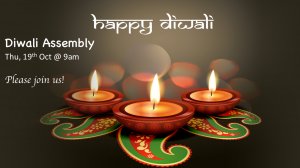 This week the Indian community is celebrating one of the most import festivals- Diwali, the Festival of Lights. The children have cooked sweets in Ms Handforth and Ms Sharman’s classes, they drew rangoli and some of them practised for the assembly this Thu at 9am. We hope you could come.